Flynn | Wirkus | Young, P.C. 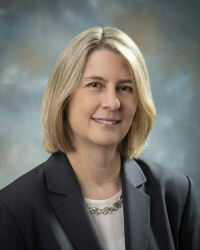 Kathleen A. Reagan, former assistant district attorney for Plymouth County, MA, and professor of law for Concord Law School, offers a full range of legal services relating to equine law, family law, Second Amendment and firearms related legal work, personal injury, business law, and other areas requiring the expertise of a litigator. Attorney Reagan also offers expert equine consulting services and is a co-founder and vice president of QueryHorse LLC (www.queryhorse.com), the popular horse information resource Website. Decisions made during divorce and separation have lifelong effects upon individuals and families, so good legal counsel is essential for family law and probate problems. Kathleen A. Reagan provides discreet, compassionate, yet aggressive protection for those about to enter probate court. Experience with firearms and firearms related litigation allows Attorney Reagan to provide practical, efficient and vigorous legal advice aimed at achieving client goals in relation to state and federal licensing laws and statutory requirements. Attorney Reagan provides assistance with obtaining a license to carry and in dealing with licensing related questions and matters. With personal attention, dedicated resolve, and experience in dealing with accident reconstruction as a prosecutor, and in the private field with the insurance industry, Kathleen A. Reagan can reduce post injury turmoil, and maximize recovery for the injured and their families. Business problems often need skilled negotiation and the ability to back up the bargaining with a quick resort to the courts, mediation, or arbitration. Kathleen A. Reagan has experience in a wide array of business related litigation and business contract drafting services, such as non-compete agreements and employment agreements. Certified mediator associated with Mediation Works, Inc.
Copyright© April 2019  Kathleen Reagan, Esq.  All rights reserved.